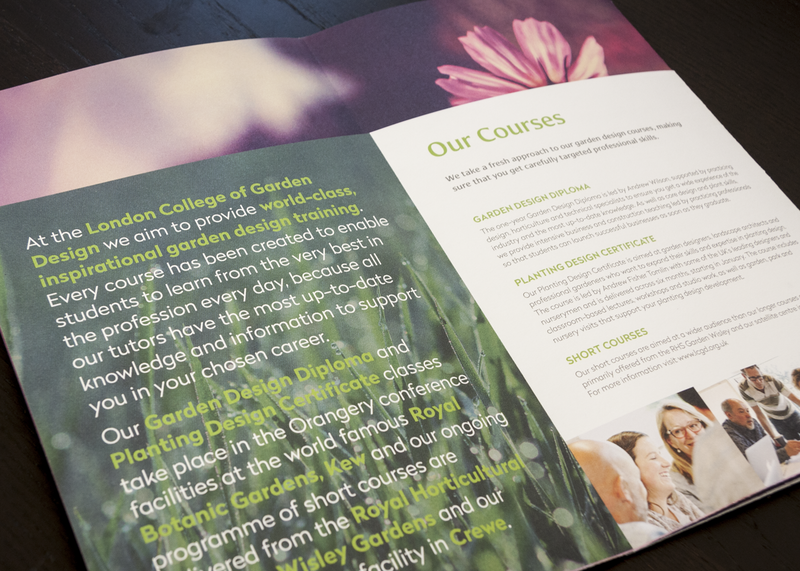 We were approached by the London College of Garden Design (LCGD) to rebrand them with the intention to help develop a greater awareness and to build on their reputation of excellence in garden design. 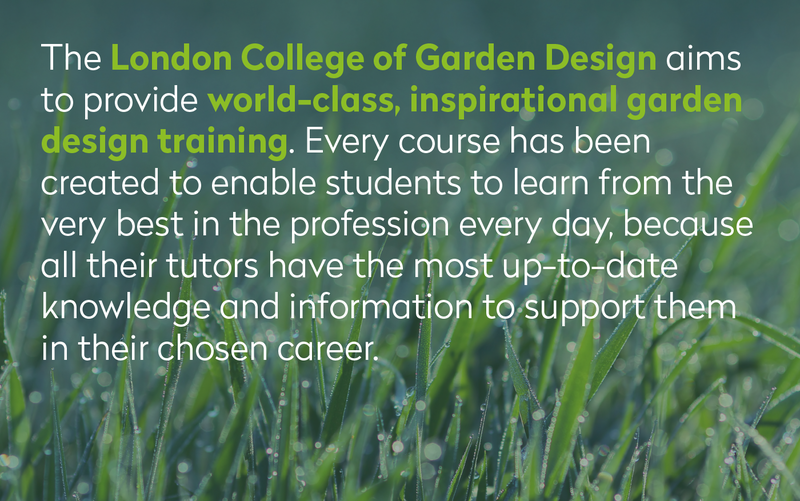 Gardens are very fluid creations with the use of different materials and always in a state of seasonal change. 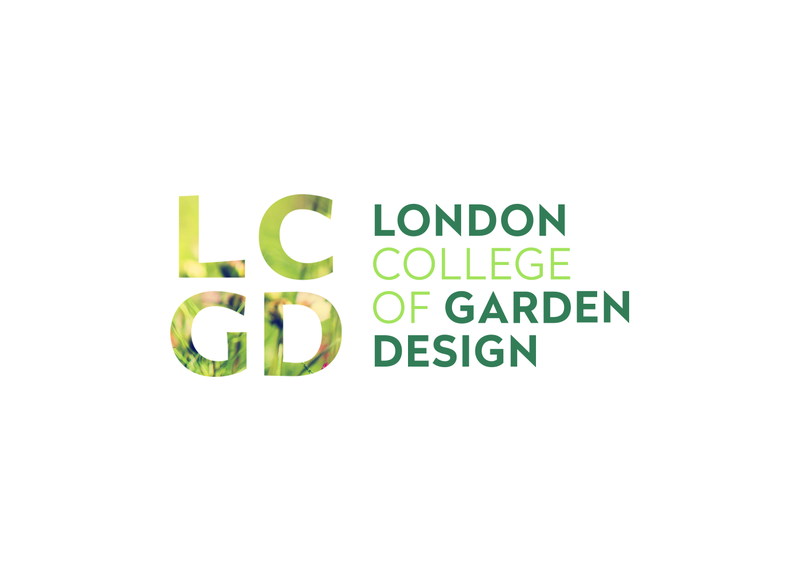 Garden designers have to take this into consideration when creating new concepts, and likewise so did we in the development of the new LCGD identity. "The idea of a logo that changed and adapted through the seasons felt appropriate." 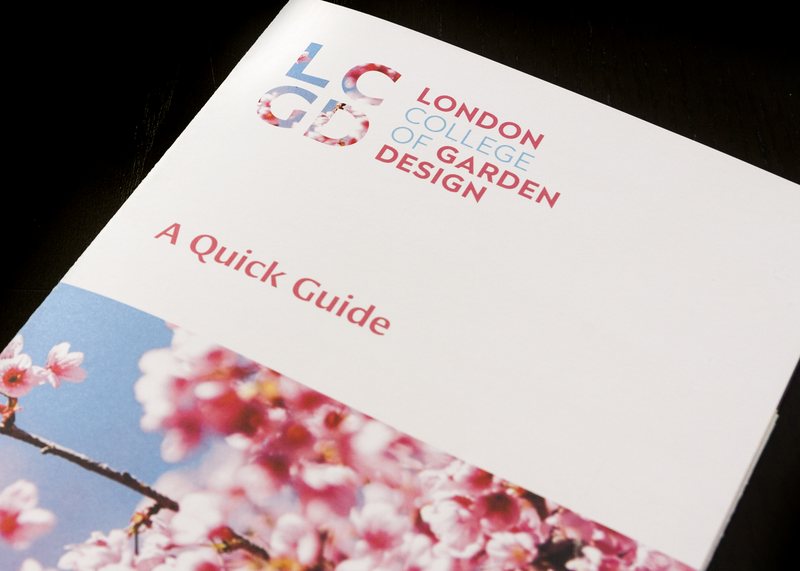 The College is commonly referred to as LCGD. This combination of letters acted as a simple and effective device for using as a 'window' into a garden, and the colours experienced through the window would give rise to the colour palette. 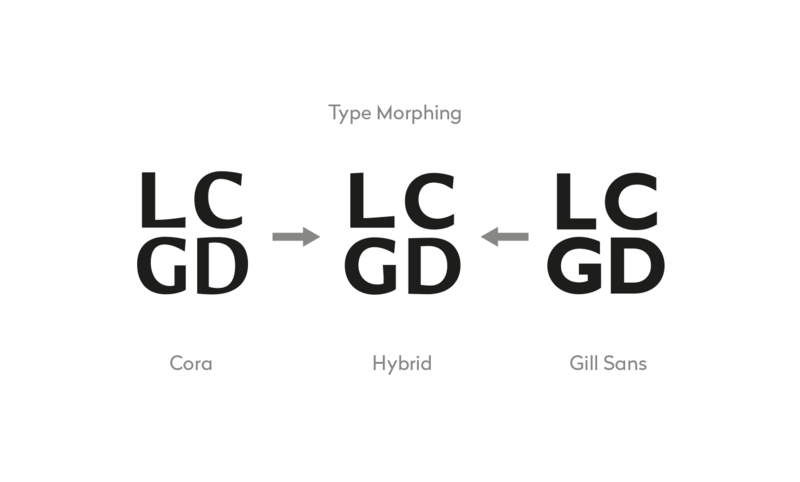 The logotype is a mutation of two typefaces: Cora and Gill Sans Bold. Cora has a very chiselled look, reminiscent of hewn rock and Gill Sans has good proportions and is quintessentially English in its style. "They both had characteristics that we felt were appropriate but neither suited what we needed perfectly. So we morphed them." 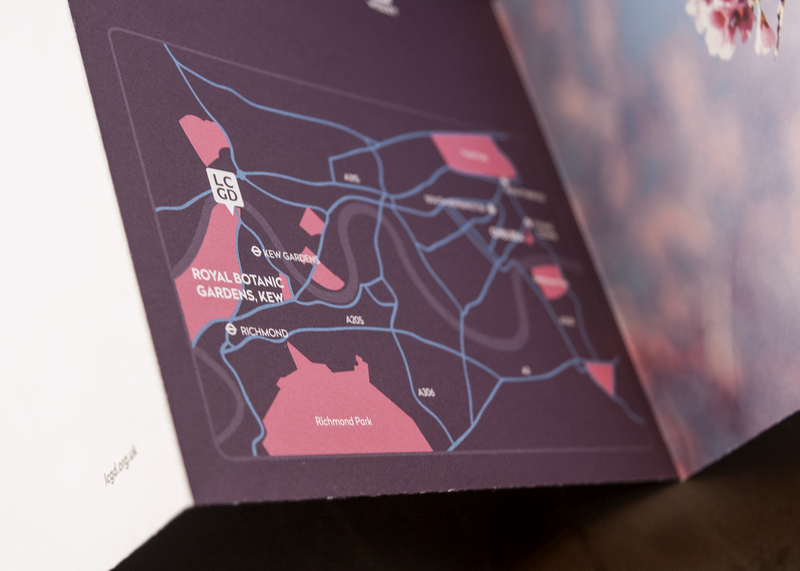 If you're in need of a rebrand please get in touch on +44 (0)20 8549 3133. 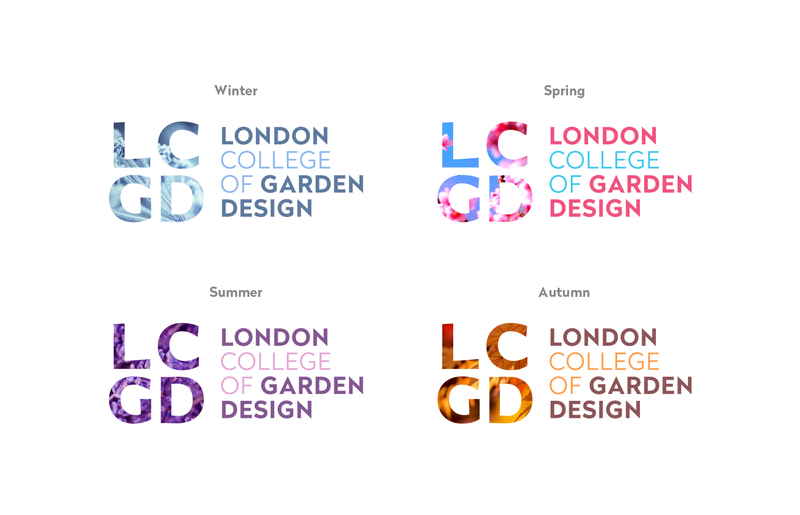 Much in the same way that gardens are in a constant state of change throughout the year, so the logo adapts to the seasons. The form of the logo also changes to suit different applications. The LCGD device acts as a "window into the garden"